Sorry about the lack of posts lately (for those who care). One of my favorite things to do is spend time with my parents. I admit that I’d rather do that than post on my blog since we only get to visit them, maybe, once a year. 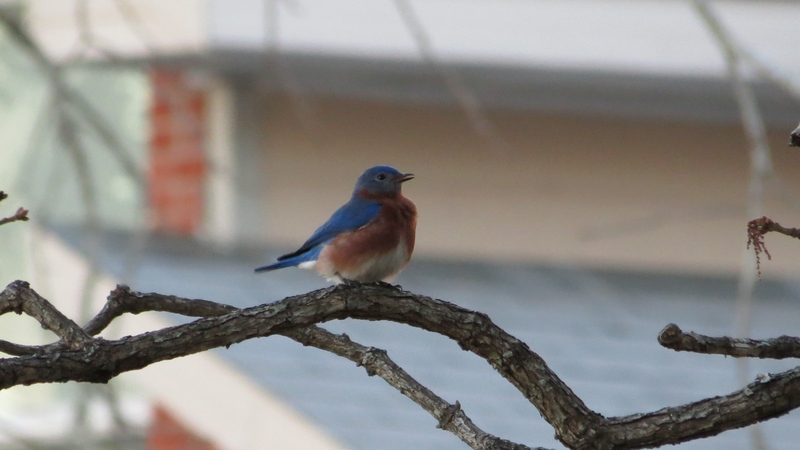 But I’d like to share some of the beautiful backyard birds we’ve seen daily in their East Texas yard. These little finches are everywhere. I thought I kept seeing yellow on them, as they flitted by, but didn’t realize how much until I grabbed a shot. 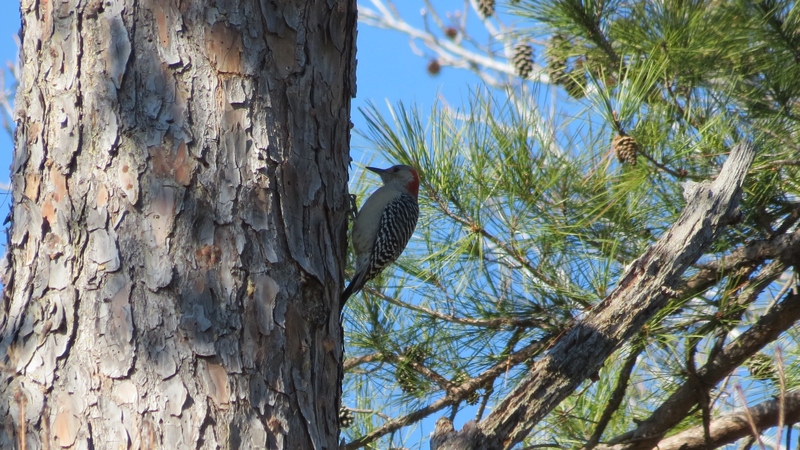 I think there are several kinds of woodpeckers around here. I’ll keep trying to capture the others. 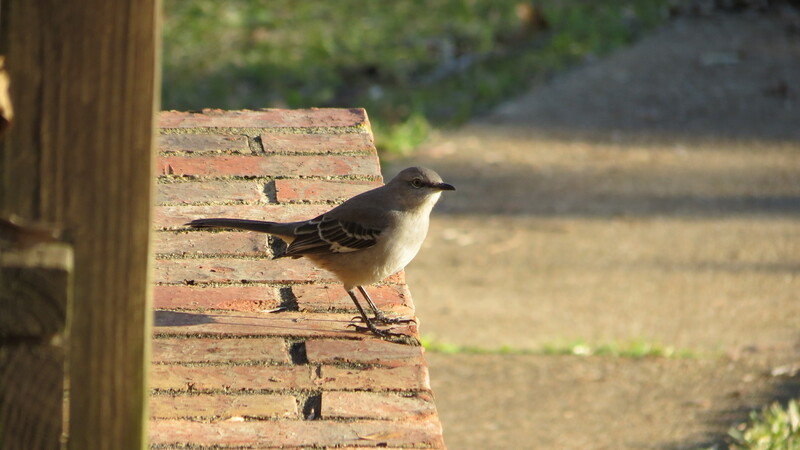 The mockingbirds are probably 2nd to the finches as far as numbers go. 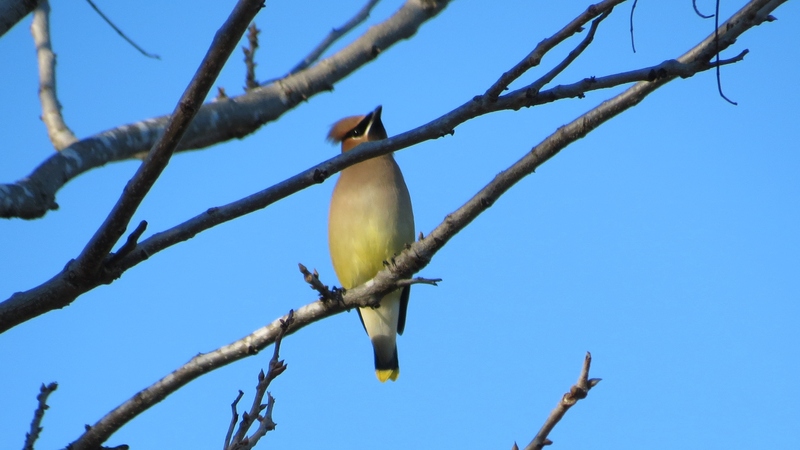 The Cedar Waxwings are around more than I see. I think they have striking colors. 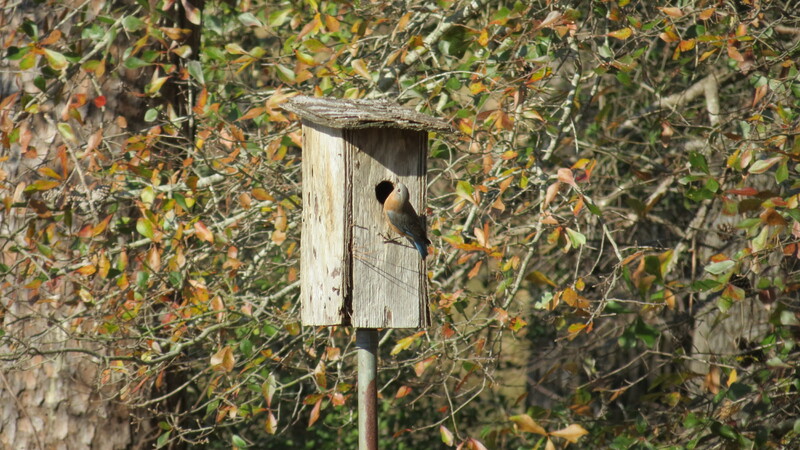 The bluebirds are courting and scouting for the right nest box. 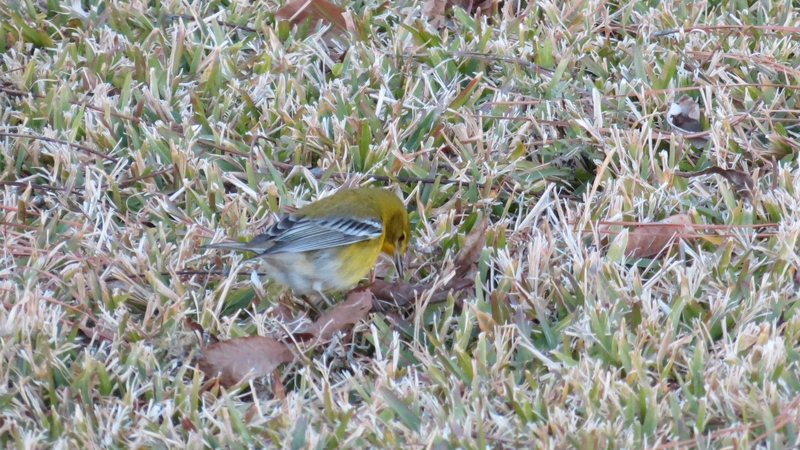 The males chase the females, and fluff up their feathers at her, to show off their colors. It was icy when first got here but the weather has warmed up. On the west coast I get to enjoy beautiful sunsets over the ocean. 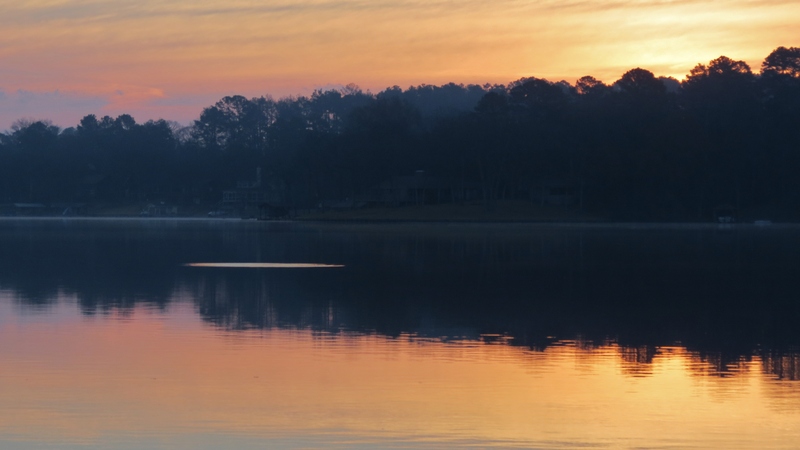 Here, in East Texas, I am enjoying beautiful sunrises over Houston County Lake. 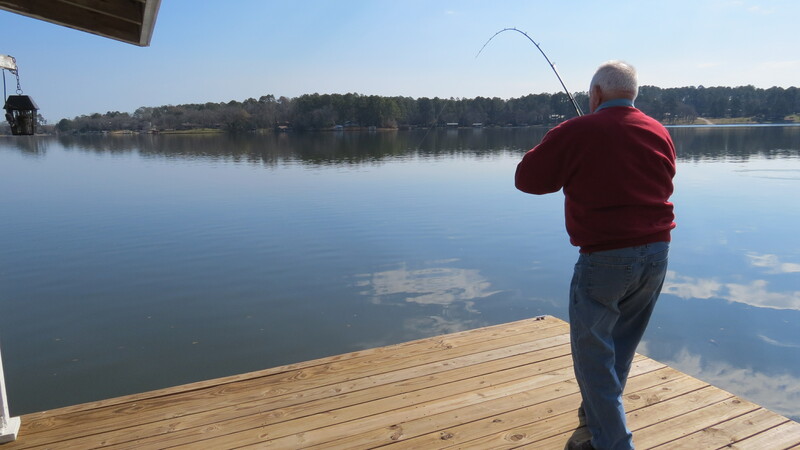 I keep telling my fishermen that they’d see more action if they got up earlier. But they’ve managed to catch a few without my sage advice. Yes, I have missed your posts. Glad that you are getting time with family. How sweet of you to say that! Thank you Cathy! Very nice. Enjoyed this post!